Trying to come up with a list of books that have had a profound impact on American life is not an easy task. And when the Library of Congress asked people to vote for books with a profound impact on life in America, they got some very interesting responses. Turns out, Americans are influenced by a wide variety of literature — though disproportionate number seem to be written by white men. The Library of Congress opened an exhibit last week called "America Reads" which consists of 65 books selected by the public, based on their votes for which books have most impacted the country. 40 of the books were selected directly, with people nominating and voting for books they felt fit that description, and 25 selected by voters from a past list on the same subject. And they range from children's and young adult books to literary classics to plays to essays to modern thrillers. America, as it happens, is a nation moved by all different types of literature, which is pretty cool. Most of the books on the list will probably be familiar to most people — and some will be familiar even if you're still in elementary school. The Cat in the Hat by Dr. Seuss, The Giving Tree by Shel Silverstein, and Are You There God? It's Me Margaret by Judy Blume all made the exhibit. Overall, there are also several works of non fiction, ranging from the Federalist Papers to Silent Spring by Rachel Carson to A People's History of the United States by Howard Zinn to Dr. Spock's Baby and Child Care. There are also two plays by Arthur Miller, Death of a Salesman and The Crucible; poetry in the form of Walt Whitman's Leaves of Grass; a religious text, namely the Book of Mormon, and even a cookbook: Mastering the Art of French Cooking by Simone Beck, Louisette Bertholle and Julia Child. But mostly, the books people picked were fiction. Or maybe it's just a sign that fiction can have one hell of an impact. After all, fiction shapes the way we think and the way we see the world. And in some cases, books actually shape historical events — just look at Uncle Tom's Cabin by Harriet Beecher Stowe, which is also on the Library of Congress list. 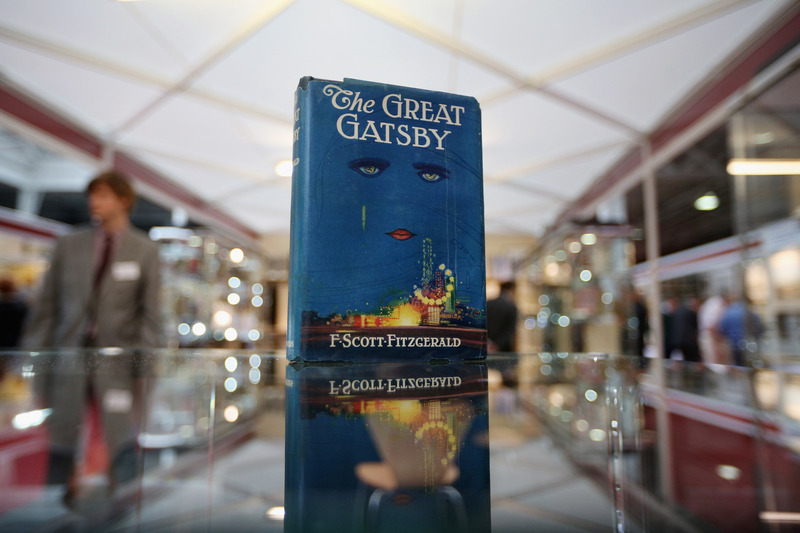 But of the many fiction titles people picked, which range from Stephen King to Ayn Rand to Thomas Pynchon to F. Scott Fitzgerald, one theme definitely emerges; in fact, it's a theme that runs through all 65 books. Americans seem to like our literature white and male. Of the 65 books that make up this collection, only 17 are written by women (18, if one includes Free to Choose: A Personal Statement co-written by Milton Friedman and Rose Friedman). Only two, The Color Purple by Alice Walker and Roots by Alex Haley, were written by people of color. So what does this say about us as Americans, that our favorite and most impactful literature is so diverse in topic, in form, even in time period, but is so very un-diverse when it comes to the identities of the authors? Is it that books by women and people of color haven't had the kind of reach and impact that books by white men have had, due to the racism and sexism in our society? Or do we just not appreciate their impact as much? Personally, I'd be more inclined to say the latter. After all, it's hard to argue that people like Toni Morrison, Joan Didion, Maya Angelou, or Ralph Ellison haven't had at least as much impact on America as, say, Thomas Pynchon, Tim O'Brien, Jack Kerouac, or James Fennimore Cooper. Either way, though, America needs to diversify our reading habits and start appreciating the many, many amazing American authors who are not white and male. Though I still recommend you check out the full list (which can be found here). Inclusive or not, there's a lot of great and influential books on there. The exhibit is also free and open to the public at the Library of Congress through the end of 2016.